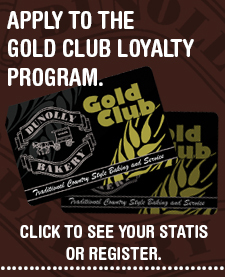 We invite you to take in the atmosphere of our Bakery situated in the Historic Central Victorian Goldfields town of Dunolly. We offer a traditional country style pastries, cakes and breads freshly baked daily! The township of Dunolly is situated within an easy two hour drive from Melbourne and is an ideal base to explore the Central Goldfields area. We hope you stop by our bakery and take in the town’s rich history.